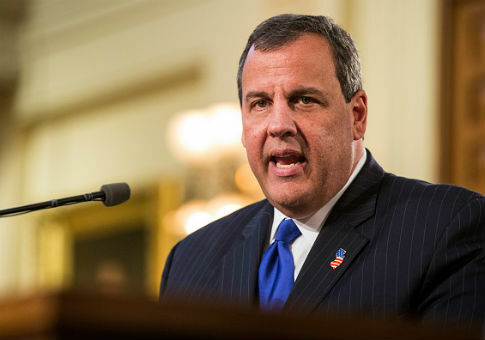 A law signed by New Jersey governor Chris Christie (R) on Tuesday outlaws the sale and possession of bump-fire stocks and other firearms accessories and components. The law, which goes into effect immediately, requires anyone in possession of a bump-fire stock to surrender it to a law enforcement agency within the next 90 days. Licensed manufacturers and retailers have only 30 days to do the same. Those who do not surrender their bump-fire stocks within those time periods will be subject to three to five years in prison, a fine of up to $15,000, or both. The law defines a bump-fire stock only as "a device that is designed to attach to a semi-automatic firearm in order to fire shots in rapid succession in a manner that simulates an automatic firearm." Governor Christie did not release any statement on his decision to sign the legislation into law, according to NJ Advance Media, but the legislation itself cited the Las Vegas shooting. "On October 1, 2017, Stephen Paddock opened fire on an outdoor venue in Las Vegas, Nevada killing 59 people and injuring at least 530 people in the deadliest mass shooting in the United States’ modern history," the legislation said. "According to recent news reports, the rifles found in the gunman’s hotel room were modified with a bump stock." Bump-fire stocks are firearms accessories that help a shooter achieve a shooting technique referred to as bump firing. The technique can be achieved without the assistance of a specialized stock. When properly performed, the technique allows the shooter to depress the trigger on a semi-automatic firearm faster than with traditional shooting techniques, allowing them to achieve a higher rate of fire. Since some of the guns used by the Las Vegas shooter were equipped with bump-fire stocks, the devices have come under intense scrutiny at the state and national level. The ATF is currently reviewing its 2010 decision classifying bump-fire stocks as a firearm accessory not subject to regulation under federal gun laws. The National Rifle Association has opposed new federal laws outlawing bump-fire stocks and has instead supported the ATF's review. The group said in October 2017 it "believes that devices designed to allow semi-automatic rifles to function like fully-automatic rifles should be subject to additional regulations." The National Shooting Sports Foundation, the gun industry's trade group, has also supported the ATF's review. The National Rifle Association did not immediately respond to a request for comment and the National Shooting Sports Foundation declined to comment on the New Jersey law. Gun-control activists, on the other hand, celebrated New Jersey's new bump-fire stock ban. Giffords, the gun-control group led by former congresswoman Gabby Giffords, applauded the law and encouraged other states to pass their own bans. "Bump stocks played a major role in turning a Las Vegas concert into a tragedy," Nico Bocour, state legislative director of Giffords, said in an email to supporters. "Ever since the massacre we have called on elected leaders to step up and take action on bump stocks to help reduce gun violence. New Jersey’s move to take bump stocks off the streets is a win for the public safety of communities in the state. With Congress dragging its feet, states like New Jersey and Massachusetts are leading the way to ensure that bump stocks don’t fall into the wrong hands. We applaud them for showing courage and setting an example that other states can follow." This entry was posted in Uncategorized and tagged Chris Christie, New Gun Laws, New Jersey. Bookmark the permalink.